easyJet has announced a good progress in its efforts to address the gender balance in its pilot community and is on track to attract 18% female new entrant pilots this year – an increase of 3% on 2018. 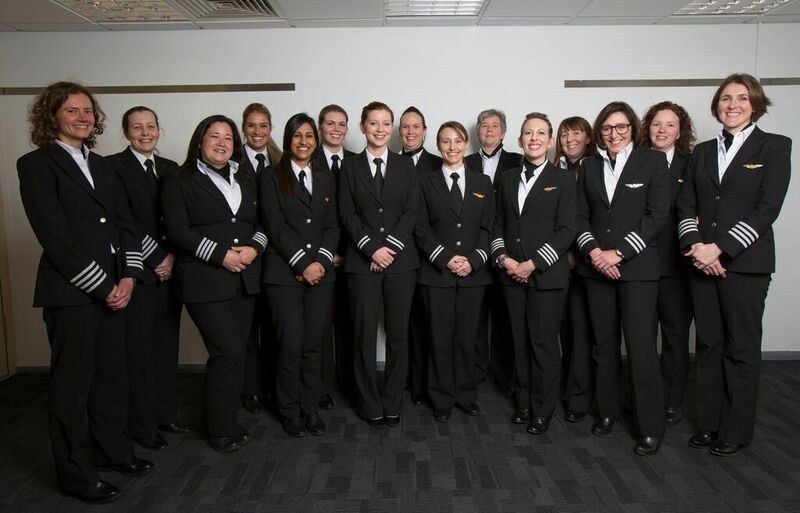 An industry issue, easyJet recognised the gender imbalance the pilot profession back in 2015 and since then has worked hard to encourage more women to become pilots through its Amy Johnson Initiative. In 2015, when only 6% of easyJet’s new entrant pilots were female, the airline set an ambitious target that by 2020 20% of the new entrant pilots the airlines attracts should be female. Now easyJet expects to attract 18% female new entrant pilots this year and is confident the 20% target will be achieved in 2020. In absolute numbers the initiative has driven tangible results bringing many more women into this rewarding profession. easyJet employed 128 female pilots in 2015 and today we have increased that to 222 - an increase of 94 women and a 73% rise in just over three years. Additionally, as it takes a minimum of 18 months to attract and train a new entrant pilot, many more are due to join the airline in the coming months and years. easyJet has reported its gender pay gap for 2017/18 which is strongly influenced by the salaries and gender make-up of its pilot community who account for over a quarter of its UK employees. The pilot workforce across the aviation industry as a whole is 95% male and pilots command a higher salary relative to other employees. The easyJet numbers for 2018 have also been adversely affected by an increase in the proportion of female cabin crew and decline in men in that large community. easyJet’s cabin crew account for over 50% of our UK workforce and so the decrease of men in this community also contributes to increases in average male pay at easyJet and in turn affects the pay gap as a whole. The median figure reported is 47.9% (compared with 45.5% for 2017) and the mean number is 54.1% (compared with 51.7%). Driven by the long-standing gender imbalances, this is not about unequal pay. Pay agreements for both the pilot and cabin crew communities are negotiated collectively with the same salaries for men and women doing the same job. easyJet continues to prioritise gender diversity within the executive management team and recognises its benefits. easyJet recently appointed Julie Southern and Anastassia Lauterbach to the PLC Board, which now is 33% female. The equivalent for the airline management board is 36%, with women currently taking the roles of the Chief Operating Officer, Chief Marketing Officer, Chief Communications Officer and the Chief People Officer. This will rise to 45% this summer when the Group Legal Counsel & Company Secretary, Maaike De Bie will also join the airline. “I am really pleased that we have enlisted so many women to become pilots with us over the past four years and are on track to deliver our 2020 target. “The current gender imbalance in both our pilot and crew community which make up more than 80% of our UK employees is the biggest single factor influencing our pay gap. Improving the gender balance in the pilot community is a real focus for us and I believe that no other airline is doing more on this issue. “As this is a structural issue we know it will take some years for our gender pay gap to materially improve but we are absolutely focused on improving it in the coming years. We want to reflect the diversity of the customers we fly and the communities in which we operate – we think this makes good business sense as well as being the right thing to do.